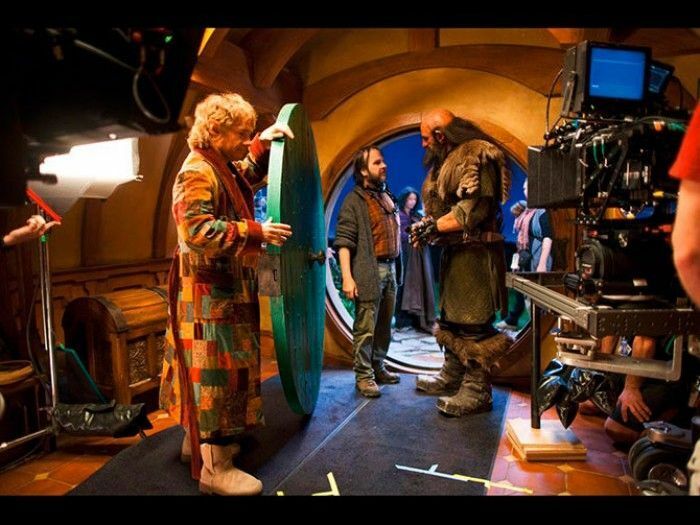 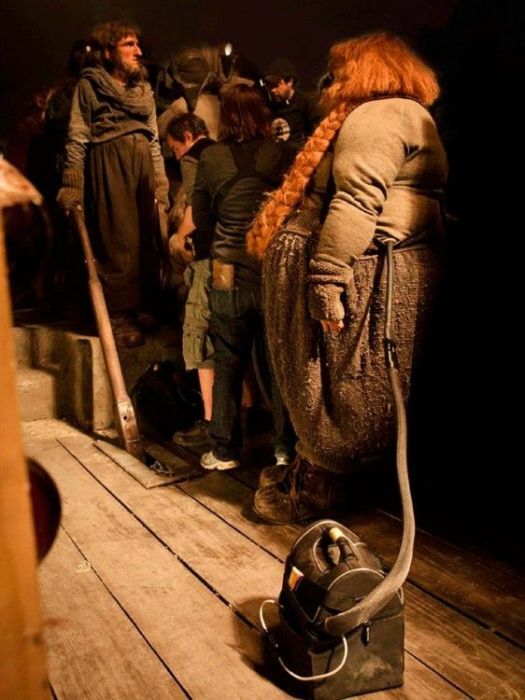 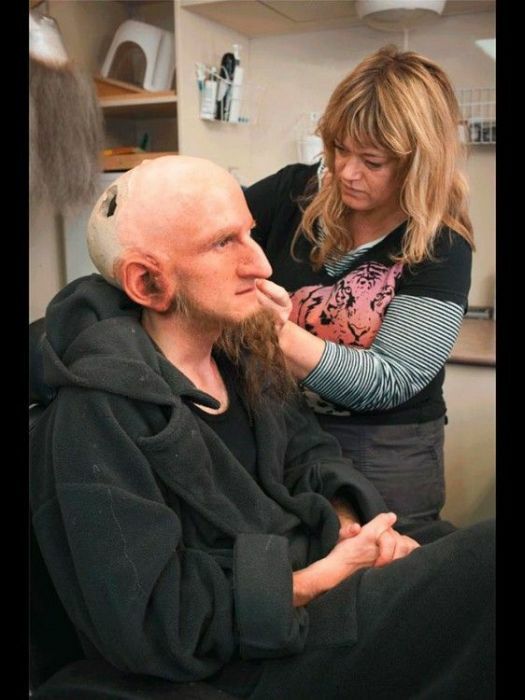 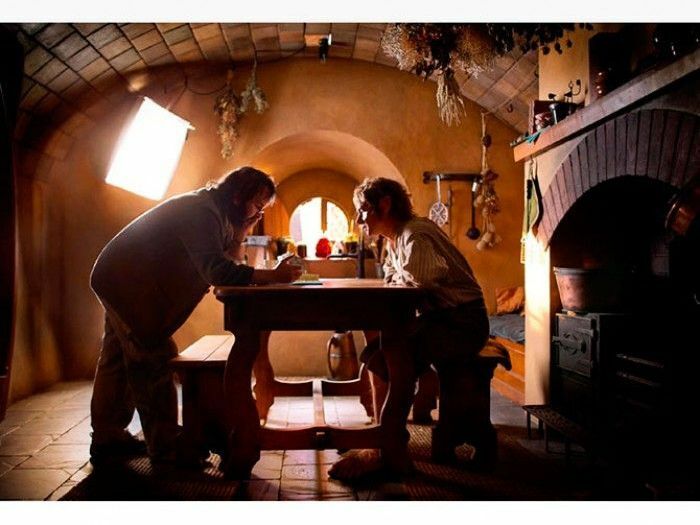 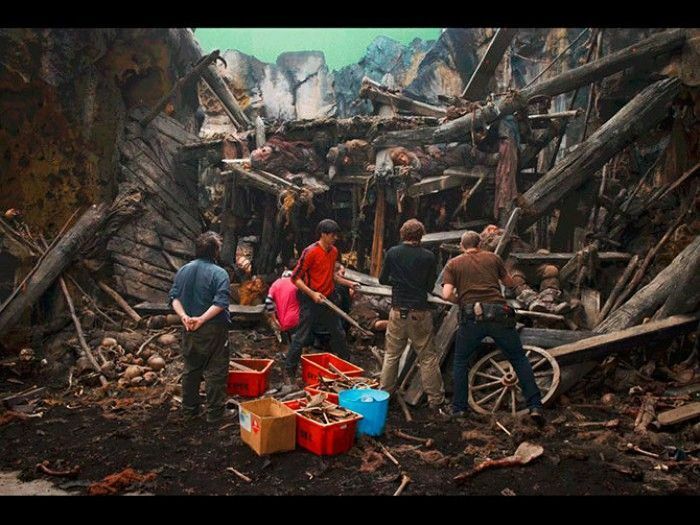 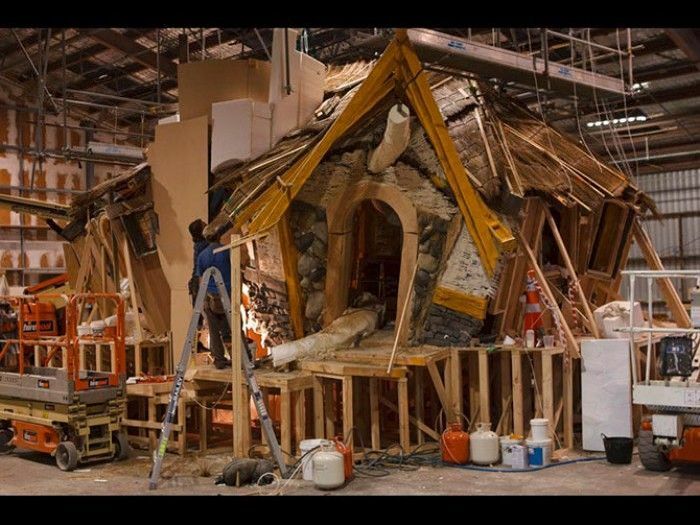 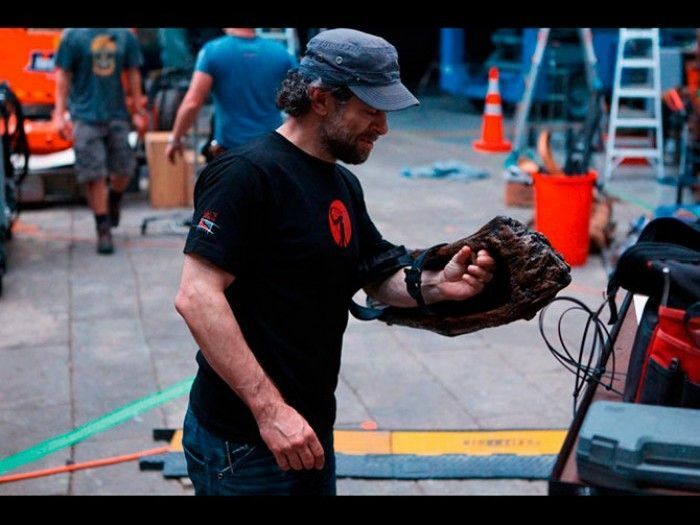 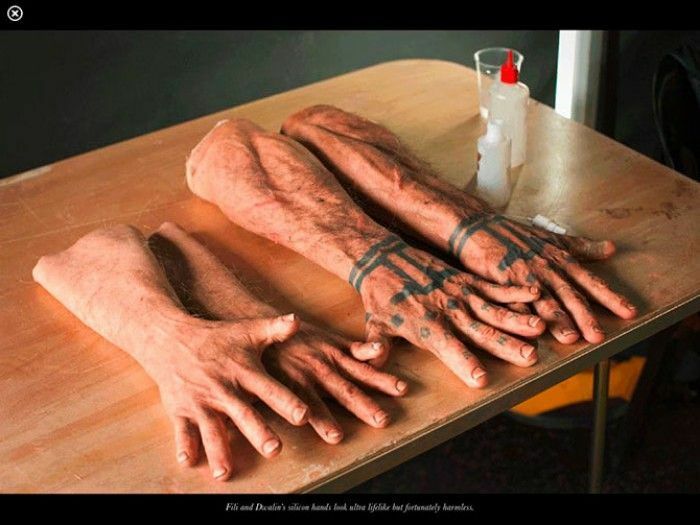 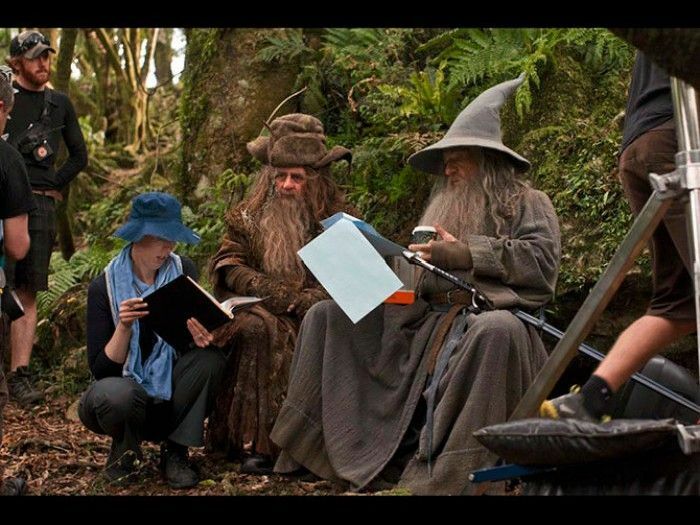 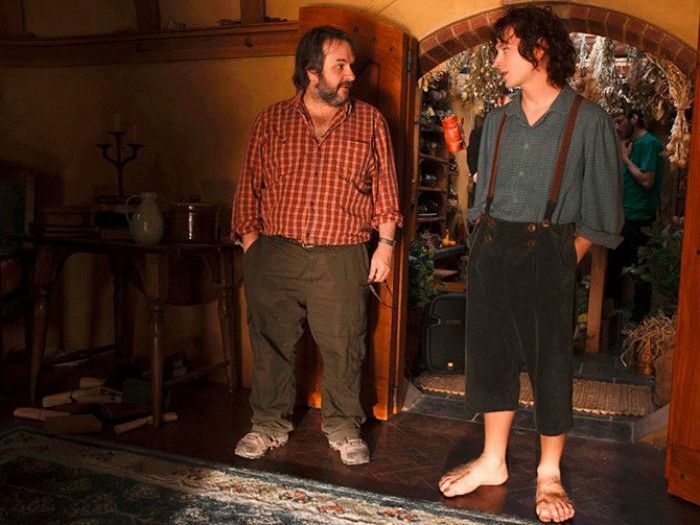 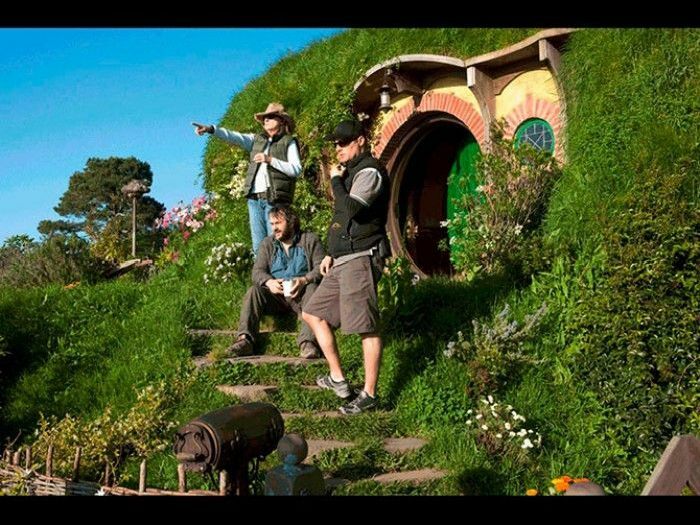 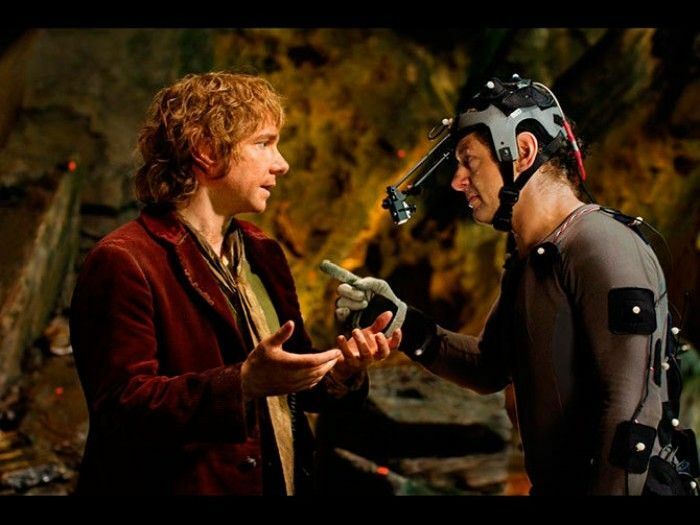 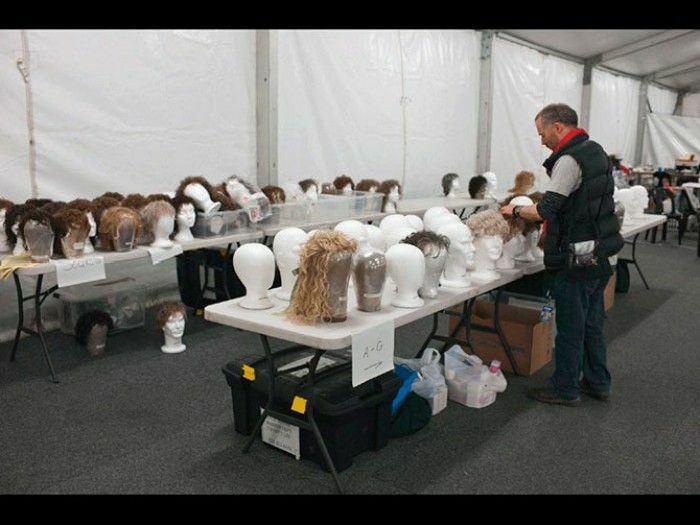 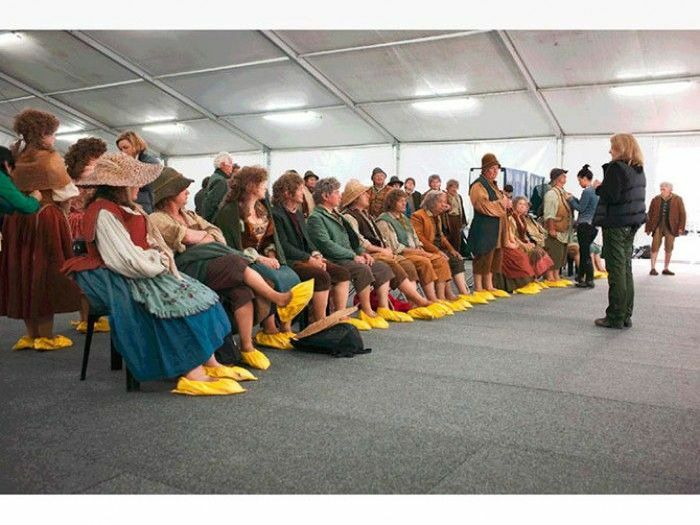 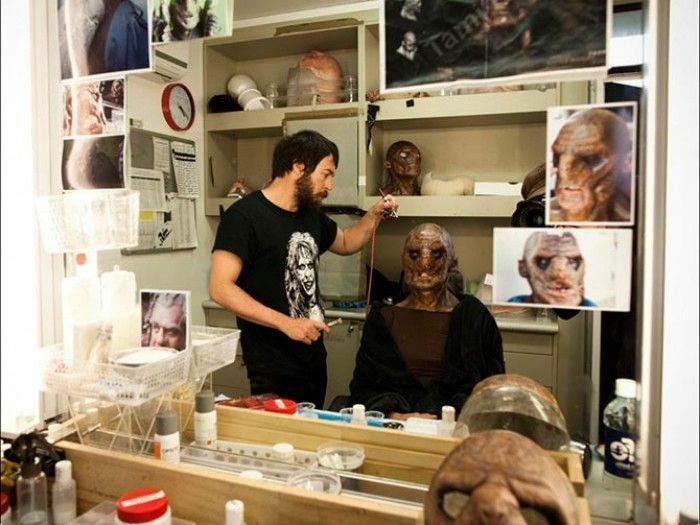 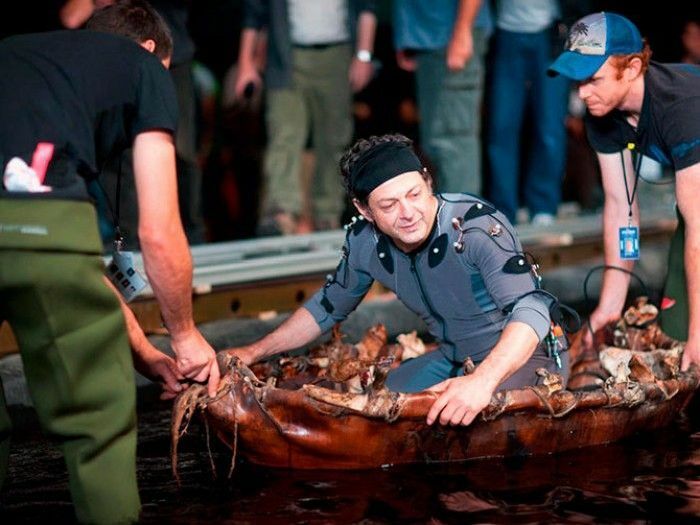 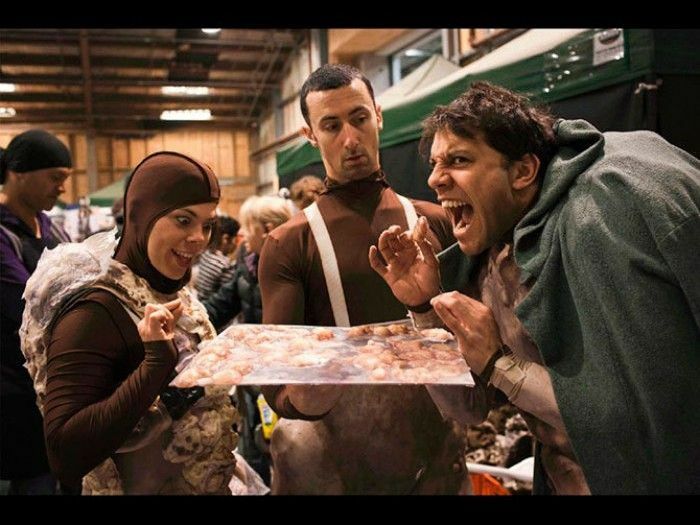 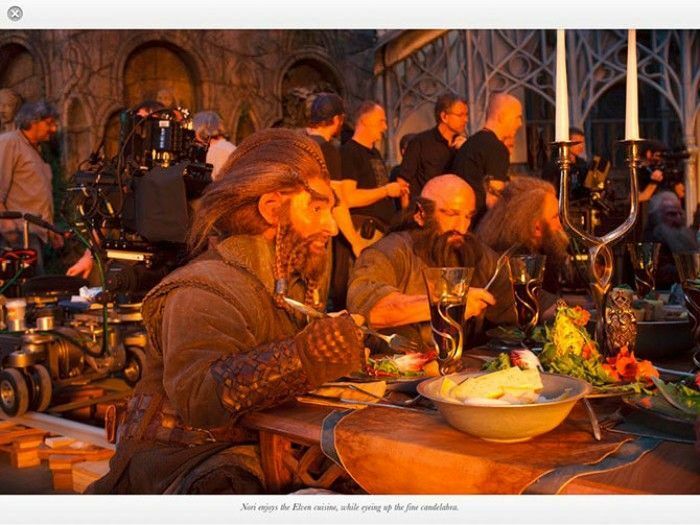 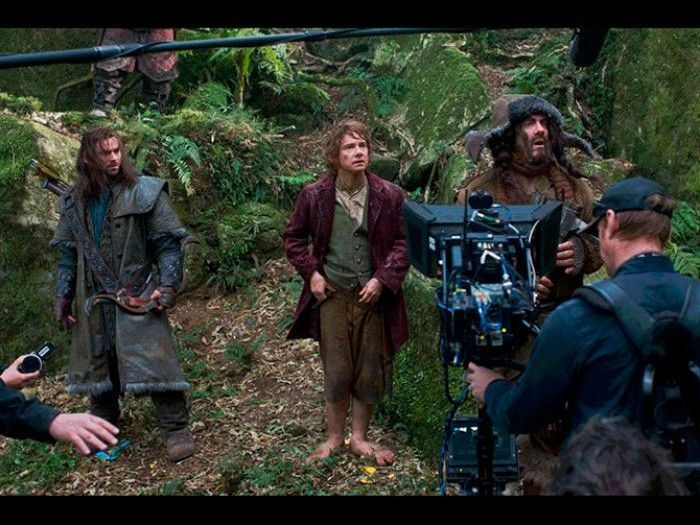 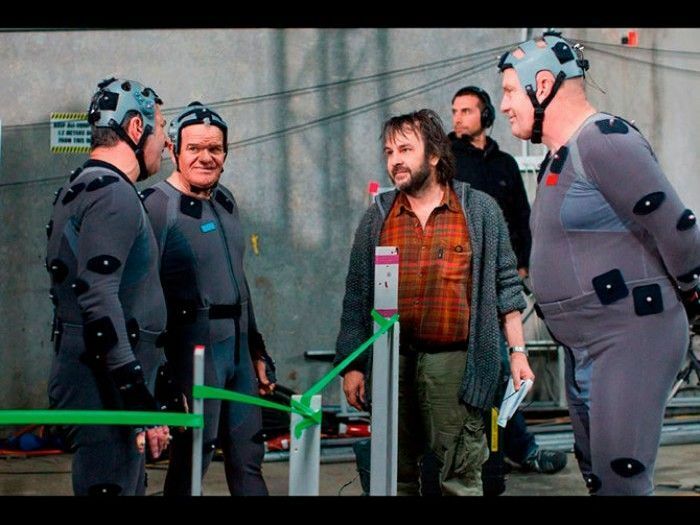 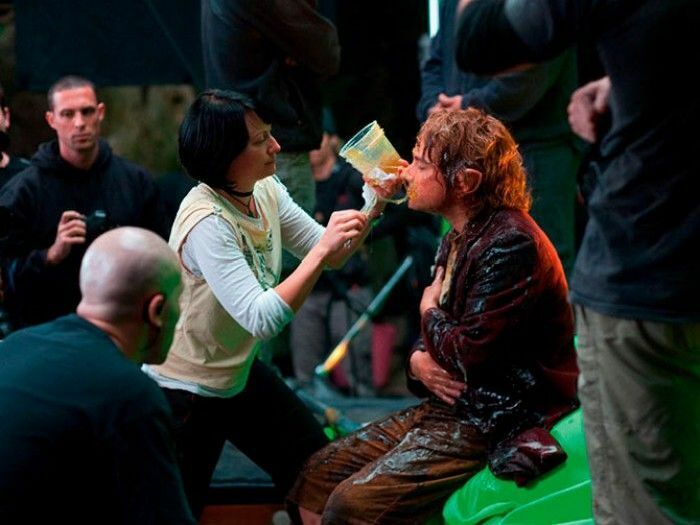 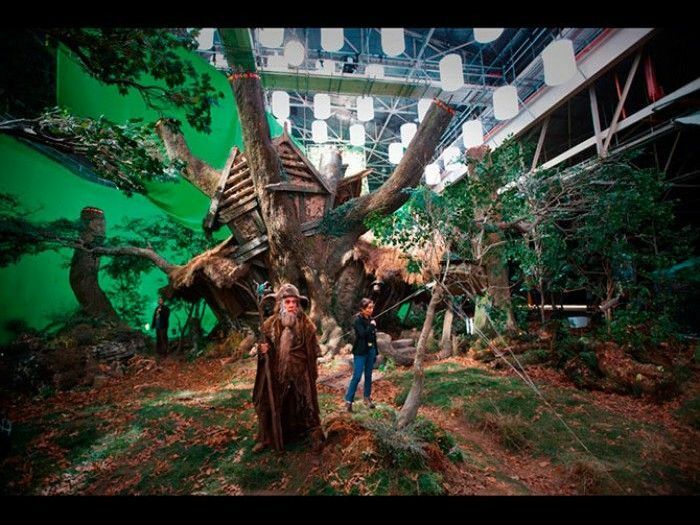 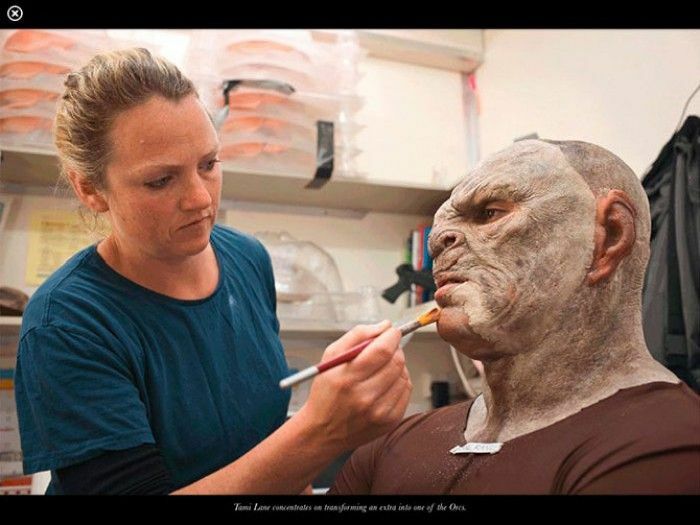 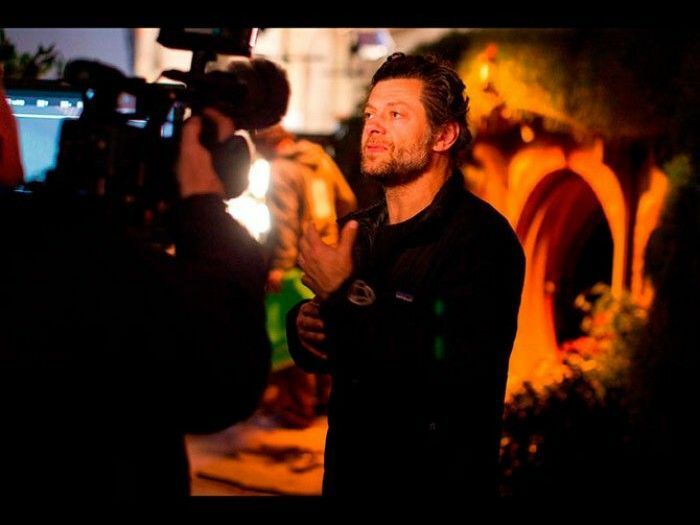 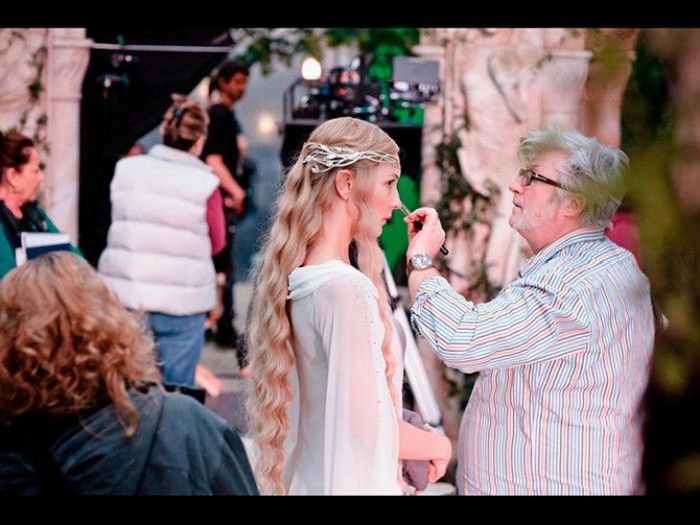 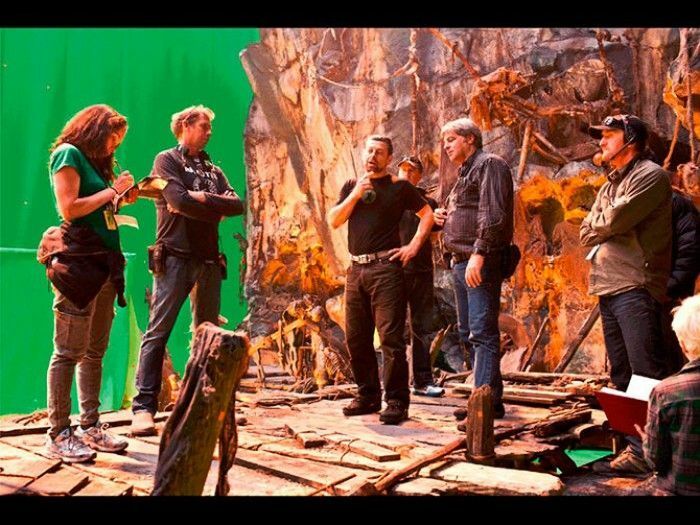 Behind the scenes of "The Hobbit." 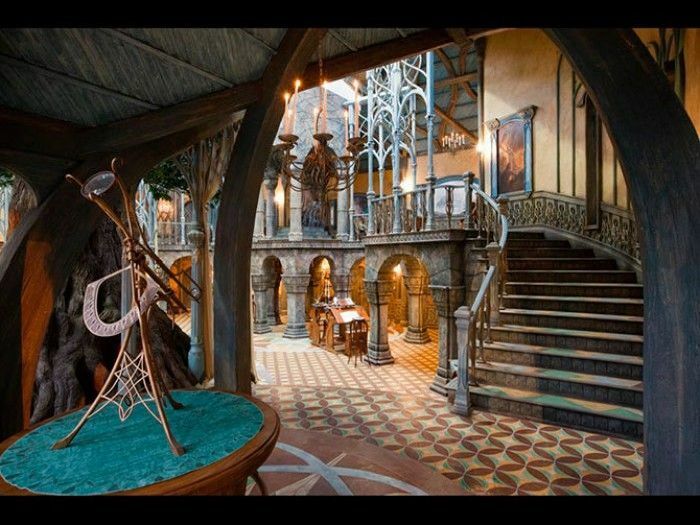 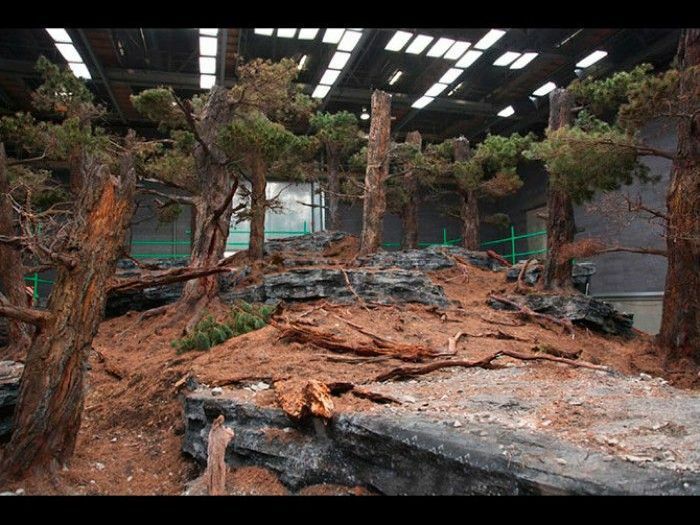 You can actually still go see the sets in New Zeeland. 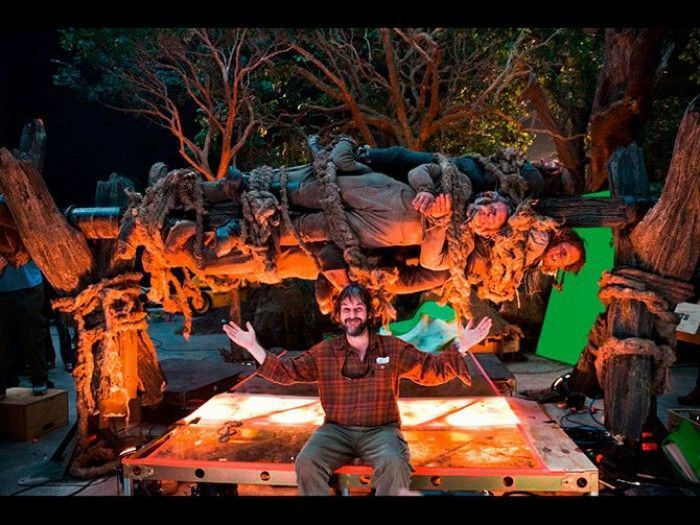 Thay did not take them down. 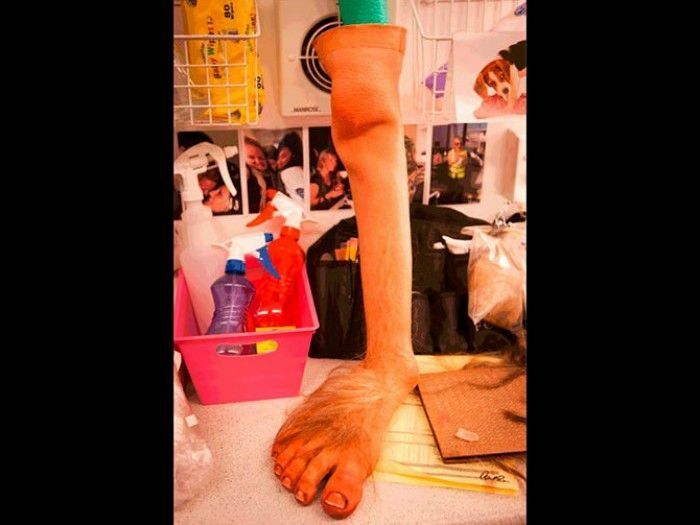 You know what they say big feet,.,.